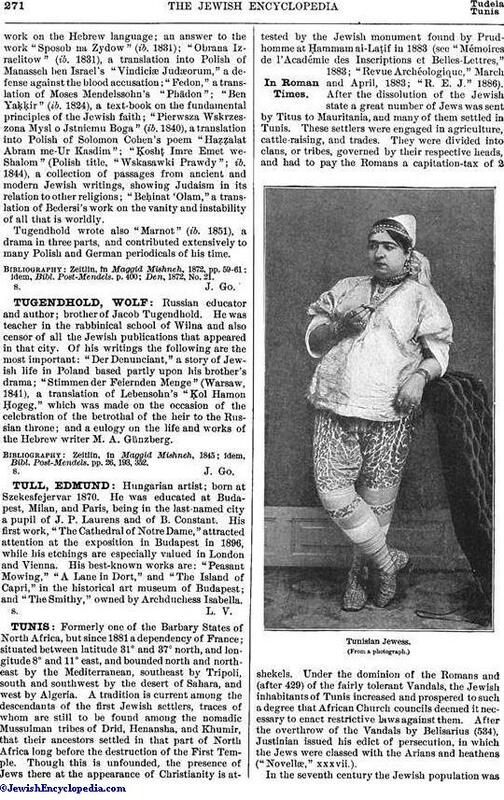 Russian educator and author; brother of Jacob Tugendhold. He was teacher in the rabbinical school of Wilna and also censor of all the Jewish publications that appeared in that city. Of his writings the following are the most important: "Der Denunciant," a story of Jewish life in Poland based partly upon his brother's drama; "Stimmen der Feiernden Menge" (Warsaw, 1841), a translation of Lebensohn's "Ḳol Hamon Ḥogeg," which was made on the occasion of the celebration of the betrothal of the heir to the Russian throne; and a eulogy on the life and works of the Hebrew writer M. A. Günzberg. idem, Bibl. Post-Mendels. pp. 26, 193, 352.